2018 Ross Chastain #42 DC Solar / Las Vegas Win / Raced Version / Chevrolet Camaro NASCAR 1/24 diecast, by Action Lionel. 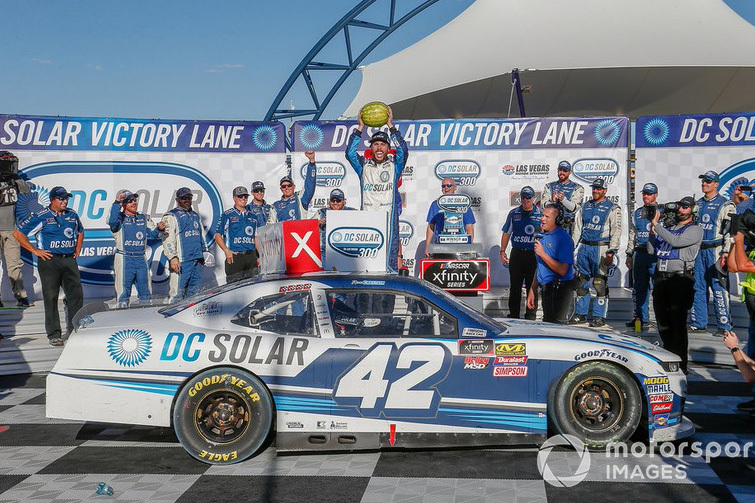 Ross Chastain raced this Chip Ganassi Racing #42 DC Solar Chevrolet Camaro to victory in the NASCAR xfinity Series, DC Solar 300 at Las Vegas Motor Speedway on September 15, 2018. 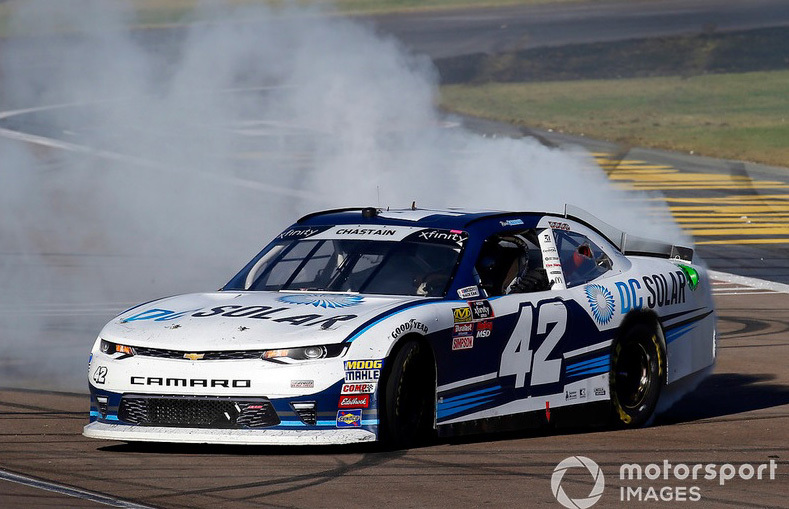 This was Ross Chastain's 1st career NASCAR xfinity Series Win. This diecast car comes with an official, actual size race winner decal. Autographed version available $64.99 - Autographed by Ross Chastain.